From September 20 through September 23, 2014, the Ocean Prediction Center (OPC) was monitoring the development of the season’s first hurricane-force extratropical storm in the East Pacific. Models were suggesting a marginal hurricane-force wind event would unfold well west of the Pacific Northwest, near 140W longitude, north of 40N latitude. 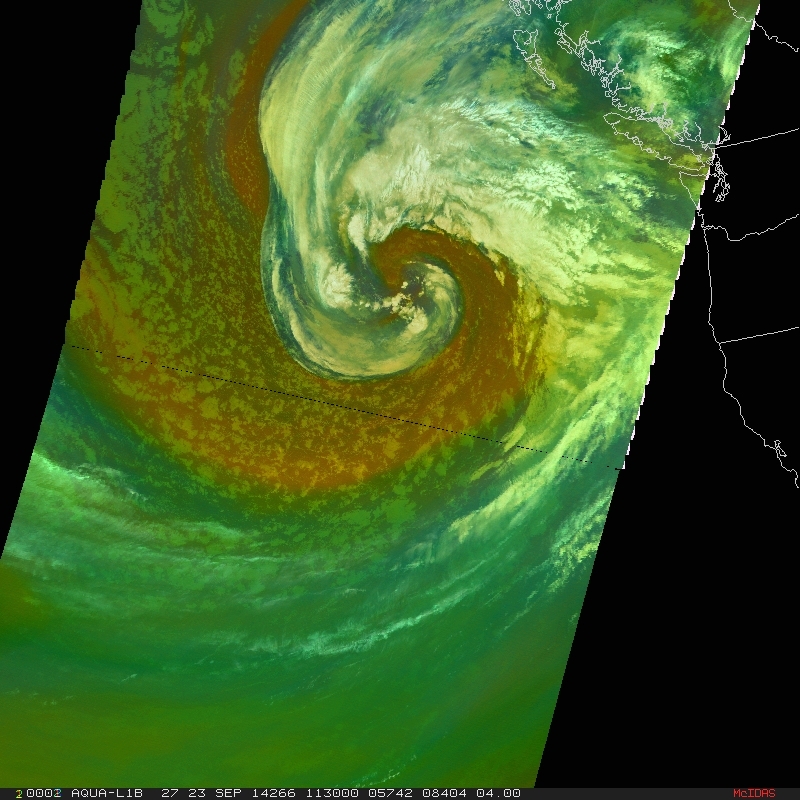 OPC is routinely using satellite data to monitor and forecast these strong ocean storms. 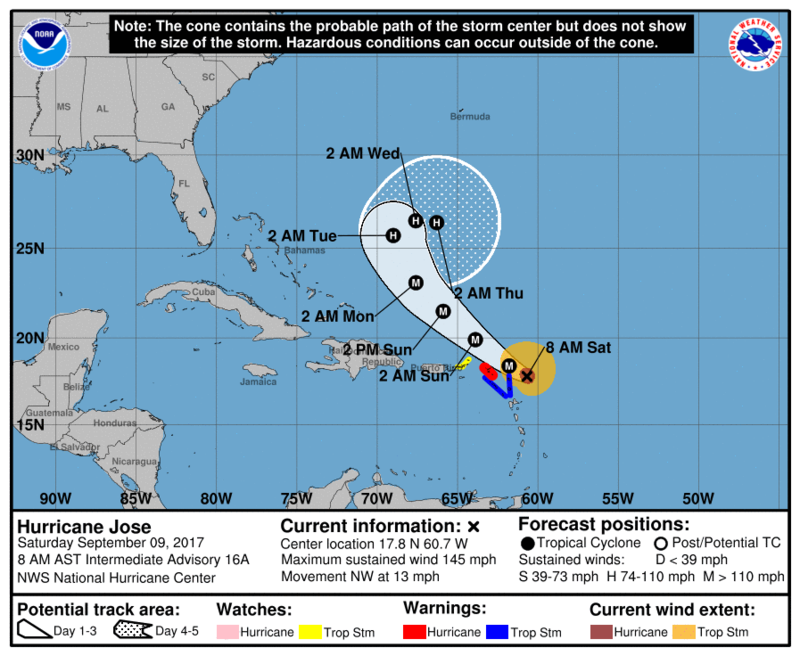 On this particular event, OPC forecaster James Kells collaborated with Michael Rowland and David Kosier on if and when to pull the trigger on the hurricane-force warning. GOES-15 6.5 um water vapor animation showing the evolution of the hurricane-force low. The above animation shows the evolution of the hurricane-force low, with an eye-like feature evident near the end of the loop. By 1200 UTC on the 23rd, it was forecast to develop hurricane force winds (64 knots or greater) just west of Oregon near 140W. 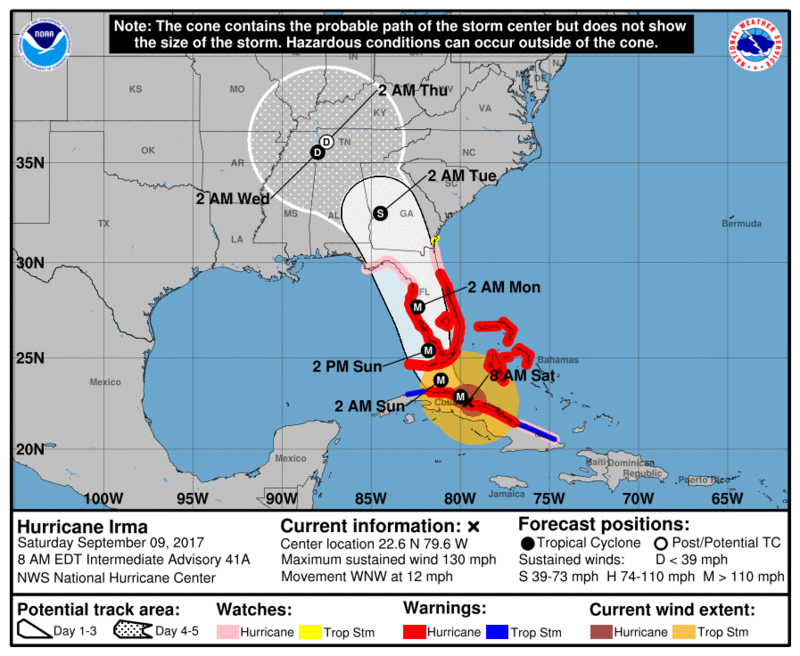 During the production of the 1200 UTC OPC Surface Analysis, there was question of whether or not the winds had reached hurricane force intensity. The ASCAT pass from ~0600 UTC showed a large area of 50-55 knot winds in the strong cold advection south of the low center, and the GFS model indicated that the system was still developing. The GFS 0-30m boundary layer winds also indicated a very small area with hurricane force intensity. Advanced Scatterometers A and B overlaid on GOES-15 Infrared imagery showing storm force winds at ~0600 UTC on 09/23/14. The 1130 UTC MODIS RGB Air Mass product was timelier, and it showed an area of downward momentum south of the low with the deep purple shading. The corresponding water vapor image was less clear with upper level moisture obscuring the downward motion just beneath it. In addition, there were no surface reports south of the low center as there were no buoys moored nor drifting in that vicinity. Furthermore, most ships were aware of the danger and navigated away from the region neglecting the possibility of a surface report in the area of question. Aqua MODIS RGB Air Mass image from 1130 UTC on 09/23/14. A cross-section of the 1200 UTC 09/23/14 GFS model potential temperature and dew point temperature was taken through the low center in order to analyze the depth of the stratospheric intrusion, and also to gauge the magnitude of the downward momentum. It showed a deep stratospheric intrusion to roughly 500 hPa, and it corroborated the strong downward momentum indicated by the imagery. The RGB Air Mass image showed the intensity of the downward momentum through the red/purple coloring and gave a good indication of the stronger winds aloft mixing down toward the surface. The imagery increased confidence with classifying the system as a hurricane force low. 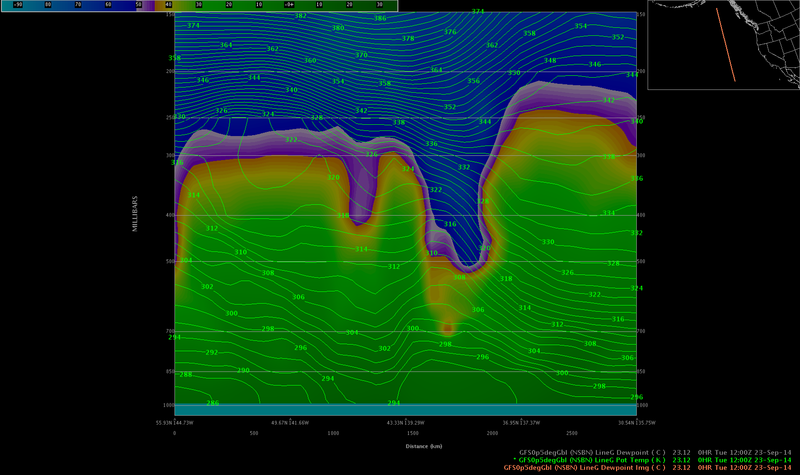 The 1200 UTC 09/23/14 GFS vertical cross-section of potential temperature and dewpoint showing the downward transport of drier air associated with the tropopause fold. The 1200 UTC 09/23/14 OPC surface analysis. For additional images and commentary on this storm, please see the CIMSS Satellite Blog.